Residents of Town Square confidently say they live in one of the best neighbourhoods even if their community is yet to be completed. Living in the centre of Dubai, amid the daily hustle and bustle of the emirate, has its perks, but a new and upcoming community near the Expo 2020 site has also caught the fancy of residents. Town Square, developed by Nshama and launched in 2015, is home to hundreds of residents. Its one to four-bedroom apartments, townhouses and villas are set in an urban neighbourhood, complete with jogging trails, a town park and a skateboard park, among others. 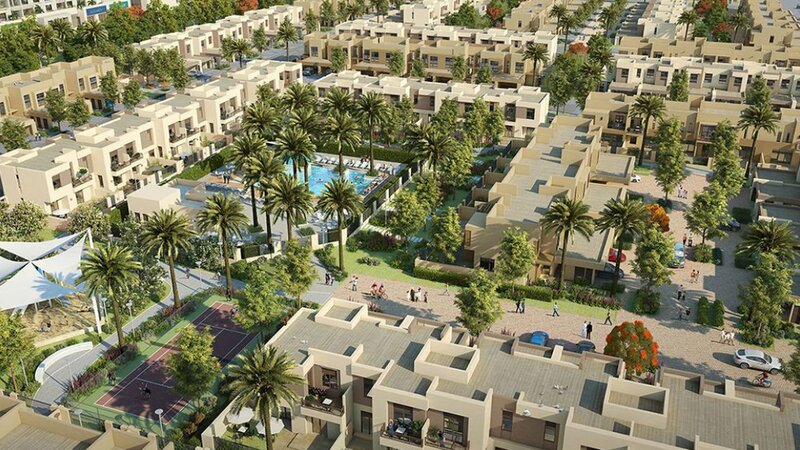 Nshama only sells the properties that are available in the 750-acre Town Square. However, owners seem to have put up their homes for rent as ads are listed online. For example, one owner is advertising their three-bedroom townhouse at a yearly rent of Dh100,000. Khaleej Times spoke to two residents who live in the community, and both said they are impressed with the kind of lifestyle and amenities that Town Square offers even if the area is yet to be completed. In 2017, the construction of site-wide infrastructure was at 40 per cent. An Australian expat, Jasmyne Franklin-Roberts, moved into a villa at the square in 2018. "I love the walking-cycling track and the fact that the community is pet-friendly. There aren't so many hotspots at the moment, but there is a nice Starbucks and Spinneys in the community. Town Square is right on Al Qudra road, so you have direct access to Emirates Road. I would say that it could make itself a bit more convenient but the road system in Dubai makes it complicated for the community. Whenever we're heading out, we have to do a U-turn at the Al Qudra bike track. It's not a huge inconvenience, but still..."
"I think it's a great value for money. Compared to other communities around Dubai, Town Square offers a lot more. Springs, I believe, is at the same price range. It's a pretty central location if you're based around that area, but the community is quite old and the interior and fittings of the villas are outdated. Town Square is very modern and cheaper, depending on the villas," Roberts said. "Our neighbours are all families and this makes the place very convenient for kids. They go every day to the playground and play with other kids. During the weekends, impressive community events are arranged, where we would usually meet many of our neighbours and make new friends." Other upcoming attractions in the area include a boutique hotel, a cineplex and a 2.5-million-sq-ft retail precinct with over 500 retail and dining outlets. 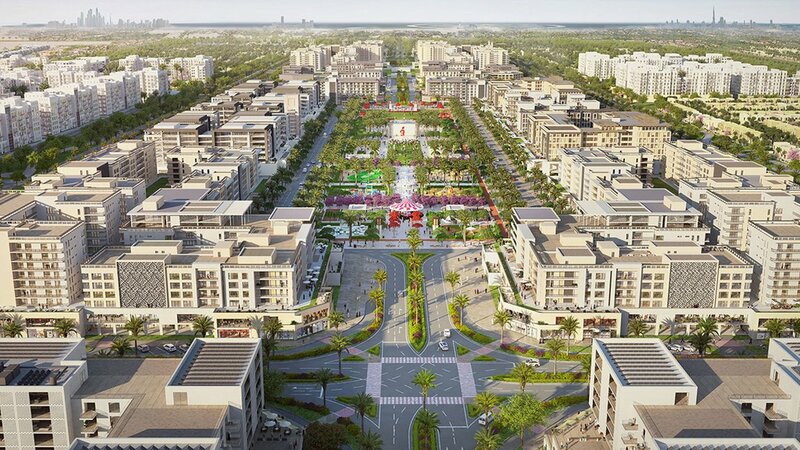 In addition, Town Square features 10km of green jogging trails, 12km cycling trails, over 260,000sqm of green areas and 8,000sqm of sports areas. Promoting an urban lifestyle, the amenities at Town Square Dubai include open-air cafés, healthcare centres, schools, gyms and outdoor sports areas for basketball, football and tennis, among others. Lebanese expat Asma Abdel Karim Nsouli moved into a four-bedroom townhouse in the community in 2017. "Moving to Town Square was exciting since the handover was done one month earlier than what was planned, so we had more time to do the interior. We moved from an apartment to a four-bedroom townhouse, which is great for the kids, especially with the garden. We own our house and the price is very competitive," she said. For Nsouli and her family, the location is perfect – "quiet but not very far". "It takes us 20 minutes to get to the city. We don't have a Metro station nearby but the community has arranged a shuttle bus that operates daily from the square to the Mall of the Emirates." "The square doesn't have its own mall yet, but community centres are just five minutes away", she said. "The community is surrounded by a cycling track with nice landscapes. We also have a skateboard park, which is good for the older kids." Town Square is located on Al Qudra Road, close to Al Barsha, so the biggest malls of the emirate are not too far away. The Al Maktoum International Airport is less than 20 minutes away and the popular Al Qudra cycle track is also nearby. Other landmarks within residents' reach are the Arabian Ranches Golf Course, Dubai Polo and Equestrian Club and Expo 2020 site. Promoting an urban lifestyle, the amenities at Town Square Dubai include open-air cafés, healthcare centres, schools, gyms and 8,000 sqm of outdoor sports areas for basketball, football and tennis, among others. It also has a 50,000sqm Town Square Park, a skateboarding park, 10km of green jogging trails, and 12km cycling trails. A boutique hotel, a cineplex and a 2.5-million-sq-ft retail precinct with over 500 retail and dining outlets are set to rise in the area. While waiting for these projects, the residents are happy to do their grocery-shopping at community centres that are just five minutes away from their neighbourhood. They have Spinneys, a barber shop, a pharmacy and more.